Heartsdesire: I Will Sing Praise To Thy Name! This week, much to the relief our our fellow church members, we received our first family hymnal! Our family don't know many hymn's...this is something that we have been seeking to rectify. Of course both Brian and I remember some from our childhoods; but even so, we want to sing praise day and night, solo and together, in the car and in the shower...a hard thing to do when you only know a couple of children's hymns! 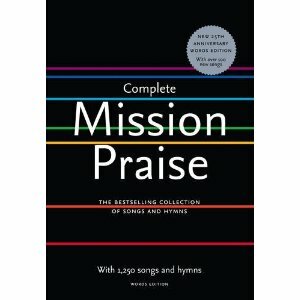 We ordered our hymnal and its accompanying "music edition" from Amazon at a very good price. Immediately Amy and I went through it, trying to find some of our favourites from church. Amy was so great at spotting them and remembering how the melody went also! Just yesterday I finally cleaned off our whiteboard, ready to write a hymn out for us to learn, plus our weekly memory verse. I can't wait to know lots of them all by heart...one of my favourites is the classic "How Great Thou Art! What a beautiful hymn! Do you have any favourite hymn's in your home? An excellent idea. My favorite hymn is Come Thou Fount. Be Thou My Vision has always been my favourite, I sing it everywhere. Well, enjoy your new book! Our favorite hymns are the old ones...all the classics. Our children have memorized many of them. And we studied the life of Fanny Crosby in September and October, so the hymns she wrote are definitely favorites as well. I love "Just a Closer Walk with Thee" and "What a Friend we have in Jesus". Be Thou my Vision is also wonderful. Ooo, Sarah, where do I start?! - And Can it be? There are so many wonderful hymns and christian songs out there though, I would also recommend a hymnbook called "Christian Hymns" published by the Evangelical Movement of Wales, though you've probably got more than enough to be getting on with!